It is good to be back working in my massage practice after a hiatus of six weeks. With two massages this past week, I am delighting in my new groove. 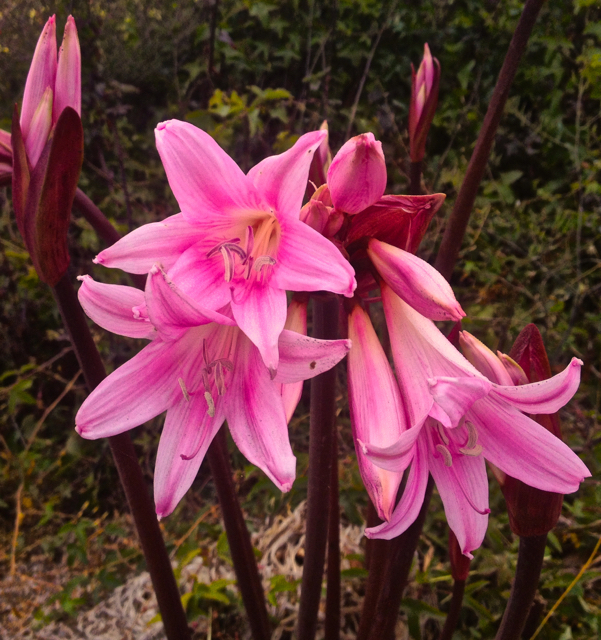 Coinciding with my re-emergence is the biannual blooming of the Belladonna Amarylis or Naked Ladies. 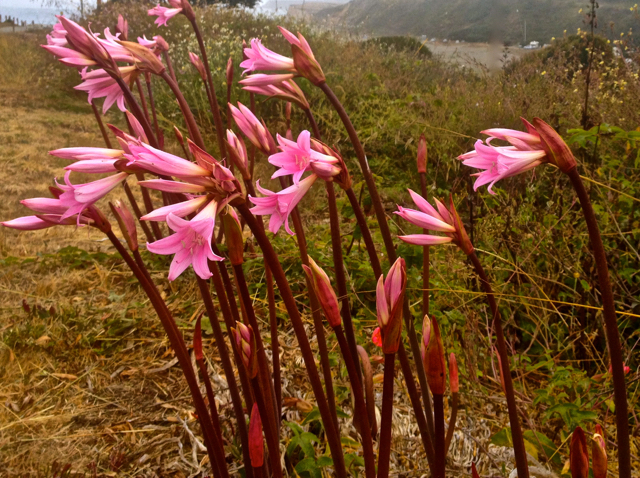 These beauties bloom wildly and in gardens from Mendocino to Westport twice a year: once in early spring and now in midsummer through autumn. The circle of life dances around, in and through every living thing. They are growing everywhere around here from now until November. Pretty! I wonder how someone came up with the name naked ladies for these. Interesting that they have two distinct bloom times. So few flowers do that. Thanks for sharing and I’m glad you’re back in your groove, my friend. I just love them. Happy to contribute to your memories! I’ve never heard of them before. Very beautiful shade of pink! Good thing you got to capture them in bloom. A precious delicate scent too. I love these flowers. Glad you like them too.